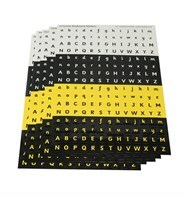 Sets of vinyl stickers for the keyboard, lower case and upper case, in the renowned Sassoon font. Different contrasts to help those who have visual difficulties. 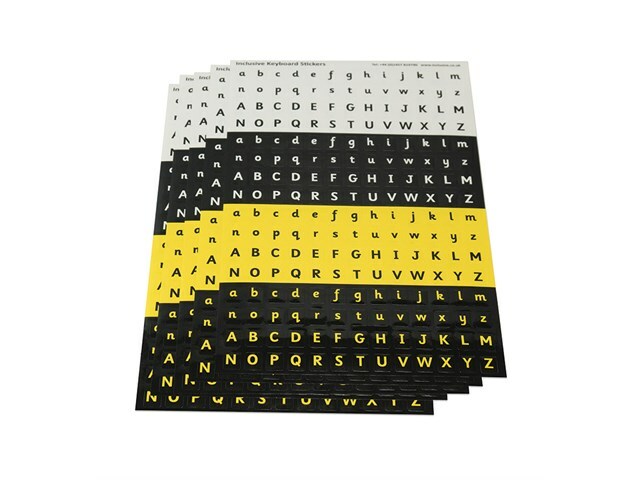 Five sheets, each with four choices of style in both uppercase and lowercase. Alphabet letters only.